According to a recent breaking report from Bloomberg, It appears that consumers will in fact be seeing an official HTC- Facebook smartphone. While the social networking giant and the Taiwan-based smartphone company have yet to respond to Bloomberg’s statement, CNET reports that the alleged handset is set to be released during mid-2013 or 3Q13. As TrendInsider reported months ago, the social networking pioneer’s alleged partnership with HTC is aimed at creating a smartphone that further utilizes the facebook ecosystem, provides flexible customization options, and takes advantage of a novelty called the Facebook App Center. The partnership is expected to propel the two companies’ statuses as well as to increase their dominance in the mobile industry. Until further details are revealed, it remains to be seen how just much of the rumored features will show up on the Facebook phone and whether consumers are in fact looking forward to such a device. Interestingly, according to CNET, a 2012 survey of 875 consumers revealed that only 12% are interested in a Facebook oriented-handset. A Partnership between Facebook and HTC: New Smartphone in the Works? About a week ago, Facebook announced the launch of its “Facebook App Center,” an application store that will reportedly operate on Apple’s iOS, Google’s Android platform, and the web itself. By taking into account the company’s existing affiliations with Apple, along with its recent decision to hire a team of engineers that have worked on the iPhone and iPad, the emergence of the new app center evokes both curiosity and anticipation. Just what kind of surprise is the social networking giant hiding up its sleeve? One possible answer is that a popular, mass consumer device may be in the works. According to news received by TrendInsider, rumor has it that HTC is working with Facebook to design a smartphone device that will utilize the myriad of novelties the Facebook App Center has to offer. The idea, if brought into fruition, is not entirely farfetched, considering the compatibility between HTC’s smartphone devices and the highly interactive nature of Facebook. It is no news that HTC has often emphasized investments in the software and operating system departments, and has constantly been on the search for talented individuals with extensive knowledge in these fields. Factoring in HTC’s reputation in the smartphone industry with Facebook’s undeniable status as a social network pioneer, one can reasonably expect the two companies to create a massive wave of impact upon joining forces in the smartphone market. In concept, what Facebook’s App Center basically does is offer a flexible approach to finding and retrieving application software. Users have a choice of seeking favorite apps through iOS, Android, or the Facebook website. Should they stumble across a mobile version of an app while browsing a webpage, they can directly transfer it to their phones with a quick, simple click of a button. Facebook’s App Center, viewed this way, operates in a manner not unlike the app markets from iOS and Android; users can basically find and click on what they want, download it, and that app instantly becomes accessible from their own Facebook page. Given the continuing surge of smartphones and tablet PCs, as well as increasing Facebook usage within these devices, Facebook App Center can be perceived as a means of increasing the amount of benefit phone and tablet users receive from mobile-based technologies. 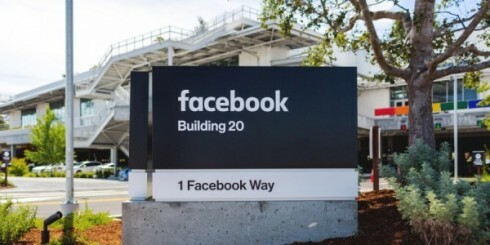 Unlike the case with its operating website, however, Facebook may need to be wary of a few revenue-related issues, as the mobile version of its app is restrained by factors such as lack of advertisement payments and programming expenses. The potential success of Facebook’s new app platform, nonetheless, is still something to look forward to. Even if Facebook App Center ends up being a simple browsing platform in the short run, its creation is a necessary first step in helping the company successfully venture into newer territories and, hopefully, to create and develop its own unique mobile device. With the partnership between Facebook and HTC, we can expect to see developments related to a Facebook-based smartphone sooner than we think. If this in fact becomes a reality, and the new smartphone, in turn, becomes a success, it is not unreasonable to assume that within the distant future, a fully functioning operating system centered solely on Facebook will emerge, further increasing the social network’s presence in the mobile device market.